Outsource your facility’s routine, preventative and emergency HVAC services with Mega Mechanical Services, LLC today so you can start enjoying the perfect indoor climate you’ve always wanted year-round. 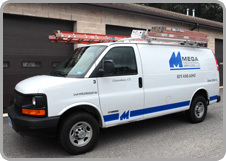 At Mega Mechanical Services, an affiliate of Mega Mechanical Systems Corporation, our customers know they can rely on our professional expertise and excellent service to keep their facility’s systems running efficiently. Our programs save customers time and money.